Can’t believe another fun summer month has come to an end. Summer means we are all busy traveling, going to the beach, enjoying time with loved ones. So did I. Sorry that I get this out to you a little later than usual. This Amazon case study site has been live now for almost 2 and half years. It’s been a fun journey to follow the site and see how it develops. Before starting the site I had a few requirements. 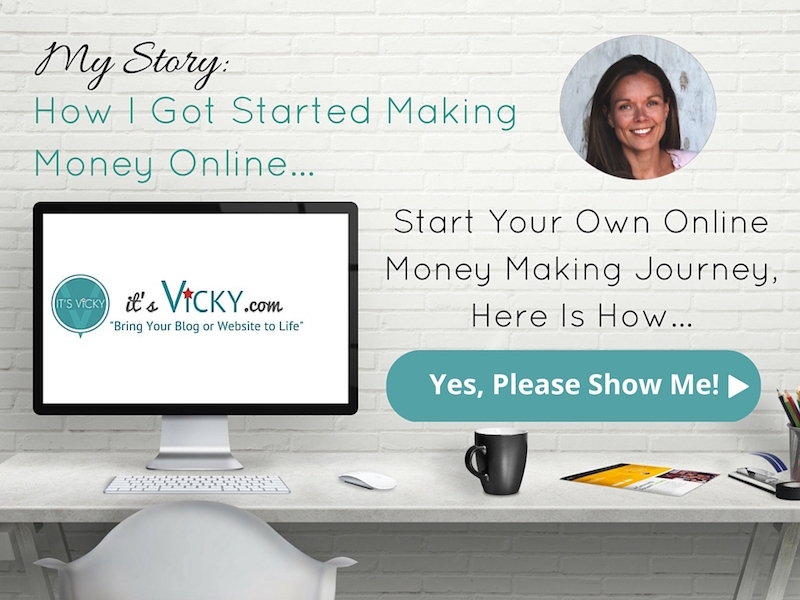 I wanted the site to be hands-off, meaning that I wanted to be able to outsource most content. So from the beginning, I hired writers to help with content creation. This frees up a lot of time and allows me to work on other projects. I also wanted the site to be in an evergreen niche, meaning not on a topic that is “hot” today but gone tomorrow, I choose health. Another thing I was curious about was if it was possible to make money with Amazon, so another one of my requirements was that, the site was monetized with Amazon. 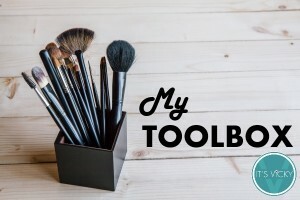 Since the site was started there has been some changes in the Amazon commission structure and I decided to take on another affiliate program. 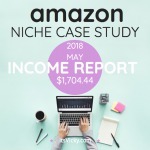 That turned out to be a good choice, the commission is a lot higher and it has been a nice addition to the Amazon income. The products are cold month related so it will be very exciting to see what the program can bring in come November and December. 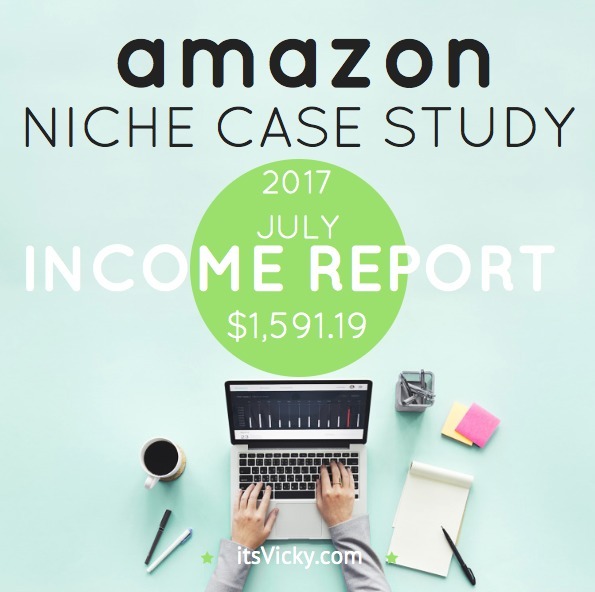 Below you’ll find the stats and numbers for the Amazon Case study site for July 2017. 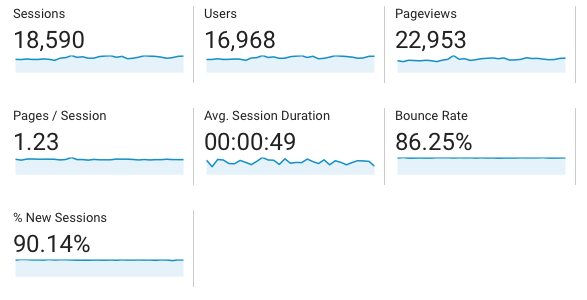 I’m glad to see that we have an increase in traffic from the previous month. Hopefully, that will reflect in the income numbers as well. Session duration of 49 seconds might not be the best, BUT if I look at the top 10 pages the duration is 3 minutes and 28 seconds. That’s better. The site is set up to bring in traffic organiclly. 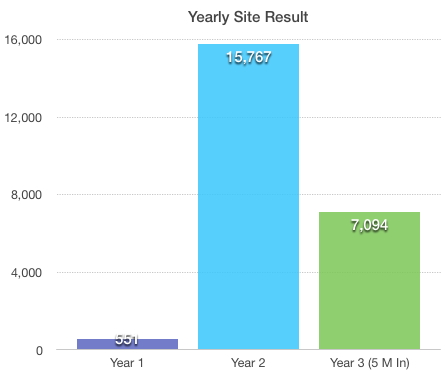 Since most visitors find the case study site via Google and other search engines, it’s important to me that the posts and pages rank well. Looking at the pages that bring in most page views it’s safe to say that top lists convert. Looking at the average time, 3.28 min, that the visitor spends on the top 10 pages I would say that they found what they were looking for. Since the site depends on the organic traffic, it’s important to keep an eye on the rankings. Are the rankings increaseing, decreasing, do we increase the top positions? It’s always nice to see an increase and up going trend, let’s look at July rankings. If we compare the July numbers to June 2017, the numbers are pretty good. We increased our top 3 positions with 30, that’s great. 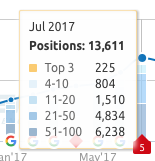 Overall we increased ranking positions with over 2K positions, I like it! 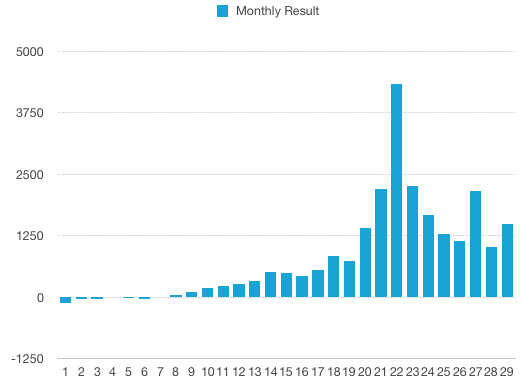 If we look at the overall keyword rankings, there’s a good trend. 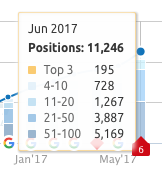 I use the SemRush tool to get these numbers, a tool I can highly recommend with both free and paid options. 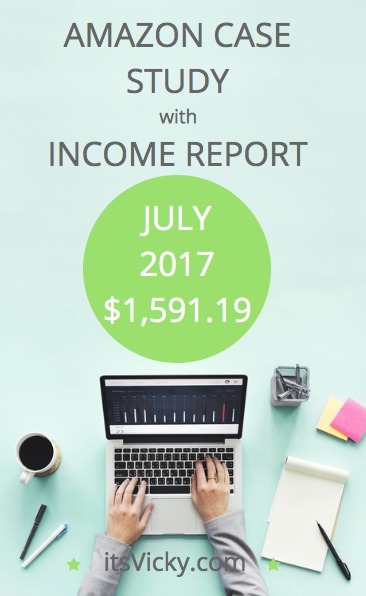 I was excited to see that July delivered pretty decent numbers considering some of my sub niches are winter month based. 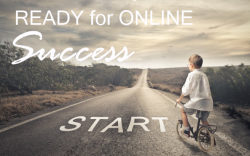 I was glad to see the increased income from the independent affiliate program as well. This is the numbers for July. It’s not December numbers but at least we increased from the low numbers of June. If we compare the 2016 July numbers with 2017 July numbers we see a good increase, I’m happy with the development. 22K is the number we would be at IF we were following last years increase and numbers. I still believe there are great things in store for this site and I’m definitely looking forward to the colder months (as far as earning goes) and the Holiday season. 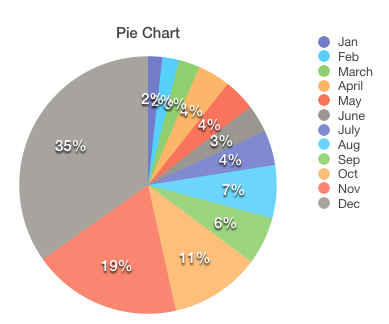 December stood at 35% of the income last year, let’s see what it will do this year! 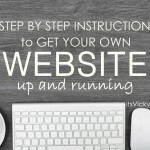 Do you want to get started with your own site? 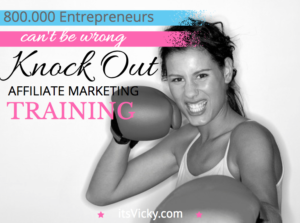 I show you how, right here! See the old case study posts, here. To a great August 2017! 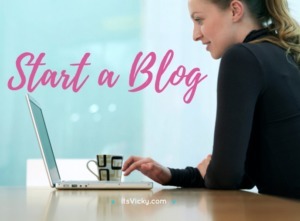 Vicky, can you recommend writers that you outsourced or the company?, The ones i’ve checked cost way more than what you paid for. Congrats on your success and growth. Thank you Paul. 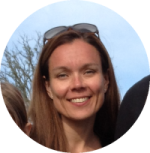 I get my writers from Upwork, find a niche specialist and go from there. You have to be picky and specific of what you want… but there are great writers out there!